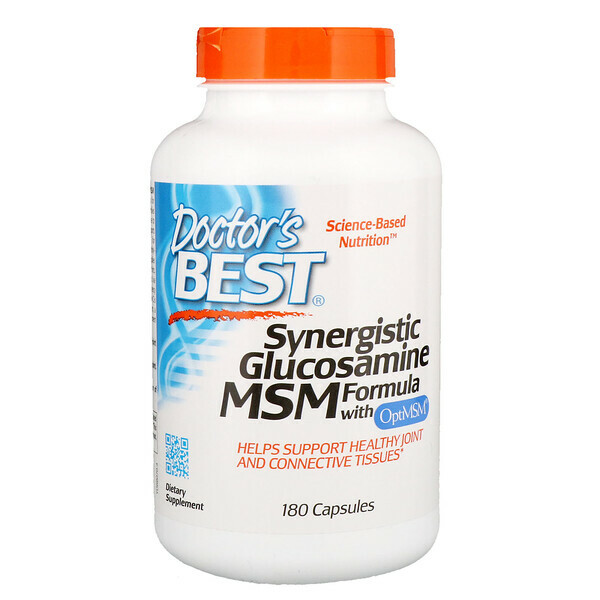 Doctor's Best Synergistic Glucosamine / MSM Formula supplies several building blocks for healthy joints. Glucosamine sulfate supports joint structure and functions and supplies healthy joints with proteoglycans, which contribute to healthy joints and connective tissues. Methlylsulfonylmethane (MSM, from OptiMSM) supplies bioavailable sulfur needed for joints. OptiMSM is purified via distillation for highest purity and consistency and is an excellent source of sulfur. Vitamin C is essential for the production of collagen, a structural protein. 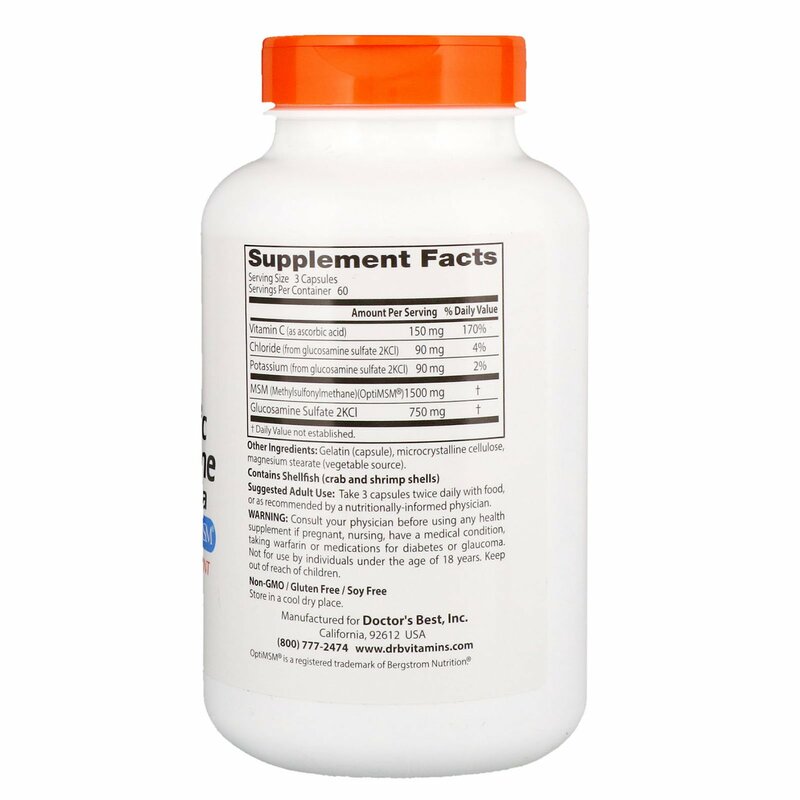 Glucosamine Sulfate helps support normal, healthy joint function and helps maintain healthy joints. MSM helps support organ and joint function by donating sulfur for maintenance of healthy connective tissue. Vitamin C helps in the production of collagen. Take 6 capsules daily, with or without food, or as recommended by a nutritionally-informed physician.